As a younger girl, I would beg my parents to take me to the local sushi restaurant so that I could order their chicken katsu (explained on the menu as a deep fried chicken cutlet with katsu sauce and a dollop of spicy mustard). I was the pickiest eater as a child, but I absolutely loved this dish to no end! While pregnant, I happened to find myself in the same restaurant, and to avoid ordering the sushi, I ordered the Chicken Katsu. It was just as delicious as I remembered! 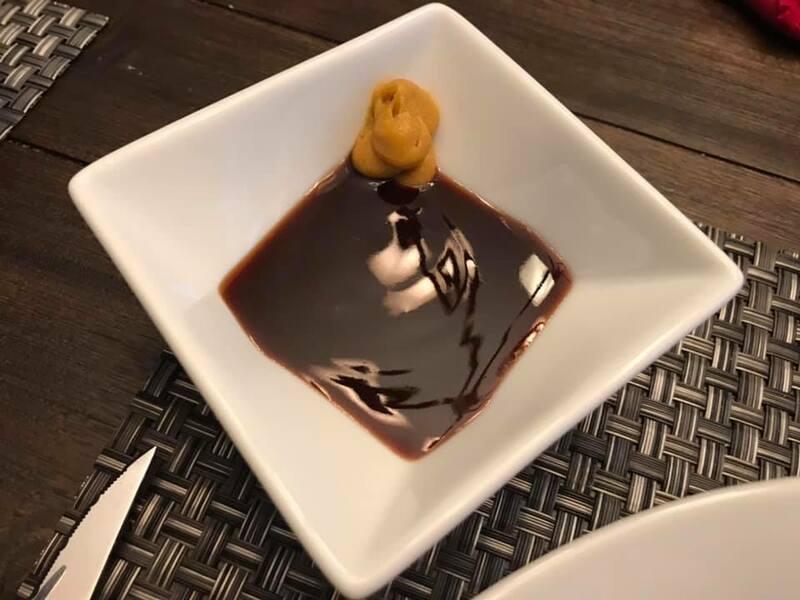 I did some research online and found a Tonkatsu sauce by Bull-dog that had excellent reviews, and randomly took my chances on a Japanese hot mustard paste. I have to tell you, they were both amazing and tasted just like the restaurants! There are also many easy recipes out there to make your own Katsu sauce, which I will include below in the ingredient list. 2. Season egg wash with salt and pepper. Dip one cutlet at a time in egg wash, then panko breadcrumbs, egg wash again, and panko breadcrumb again. This is a double dipping process to allow the chicken to have a crispy breaded crust. 3. 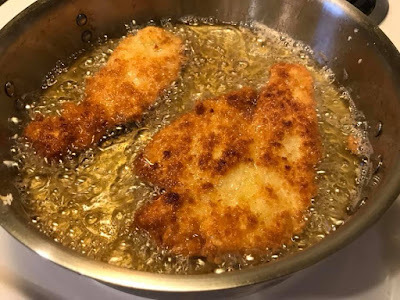 Fry the chicken cutlets for 2 to 2/12 minutes on each side, until golden brown and cooked through. 4. 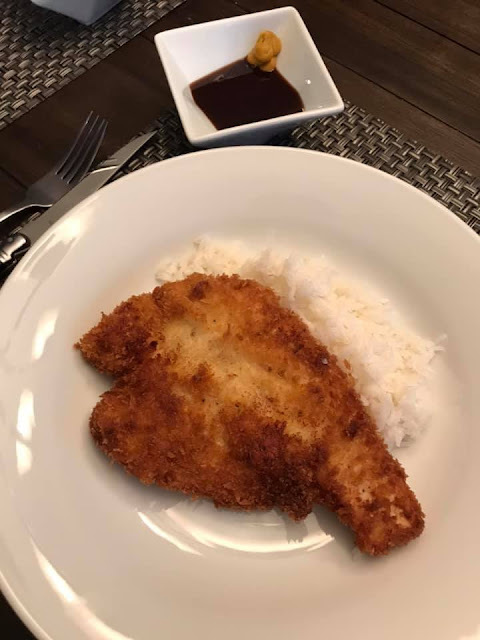 You can either drizzle the katsu sauce on the chicken or place in a small bowl for dipping. Add a drop of hot mustard paste to the katsu sauce for a spicy kick!